When a homeowner thinks about landscaping, he or she is thinking about a project that will not only add beauty to their home, but will also add value to the property. However, not all landscaping jobs end up as the owners intended them to. When not properly done, some landscape work may damage the home and result in expensive repairs. Here are some of the ways landscaping projects can go wrong, and how you can prevent them. Mold and fungi can cause serious health problems that’s why they need to be properly removed. Most landscaping projects create damp environments where mold, fungi, and other forms of rot thrive. The wall of the house that is closest to the garden is the most likely to attract mold and fungi; and when not given immediate attention can lead to great losses. One option to prevent this is to waterproof that particular wall. Use mold-resistant materials. The beautiful flowers and plants in your garden are not only attractive to you, but different pests find them enticing as well. Plants and flowers are sources of food for many pests and create an ideal environment for them to thrive. Prevent this situation by cautiously using pesticides or other environment-friendly pest repellent. Landscaping projects require a lot of water, and more often than not, water seeps down to the foundation of the house. This can cause serious structural issues. In addition, trees and other plants that have extensive roots can cause cracks in the foundation or damage underground plumbing lines. Setting up an irrigation system can be expensive, and when done incorrectly can incur more expenses. Leaks in the system, lack of proper drainage, uneven water flow and varying pressure rates will result in costly water bills. The water that you consume in the house, coupled with the water consumed in the landscaping project will result in water demand that may be difficult to sustain, especially during dry seasons. 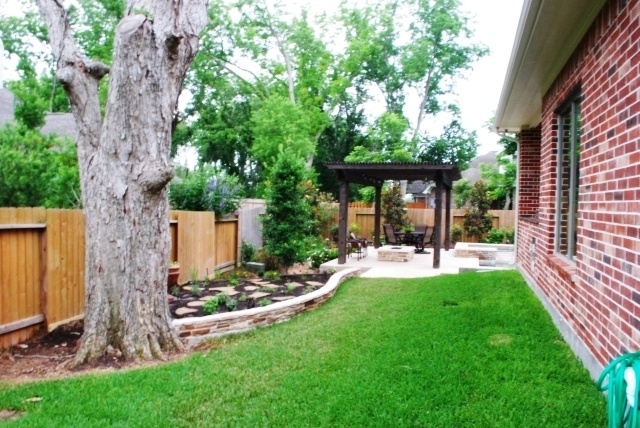 The best way to prevent damages resulting from a landscaping project is hiring a professional landscaper. A landscaper understands how to avoid such problems, and will set up preventive measures that will protect the project long after the landscaping work is done. Landscapers have the relevant knowledge and skills to install efficient drainage systems that actually help you to conserve water. Finally, a professional landscaper will apply the necessary steps to prevent the growth of mold and fungi as well as recommend ways to deal with any pests and diseases. Before anything else, a homeowner should first know what he wants to do with his outdoor space. Secondly, he should look for a professional landscaper who has the experience and the expertise to execute the planned design. How do you plan to execute the design? It is important to ask the landscaper to produce a sketch of what he intends to do with the area before you approve anything. Alternatively, you can provide a design of what you want. Some will require payment for producing a sketch and let you keep it. This is one of the surest ways of knowing that the landscaper understands the job to be done. Work experience is one of the most vital aspects of the landscape business since it is likely to determine whether or not the landscaper can actually execute the task flawlessly. Time spent in the business is time spent learning from and correcting mistakes as well as gaining comprehensive understanding of the landscaping business. In most cases, the more experienced the professional the better the job execution. Cost is another vital part of any landscaping project. A contractor may have their rates, but should be willing to work within your budget.Knowing exactly how much the project will cost before signing the contract keeps you from getting unwanted surprises. A reputable landscaper will offer a guarantee for their work especially when they are confident that the quality of work will be outstanding. Most will offer a six-month guarantee, but getting a one-year guarantee is even better.